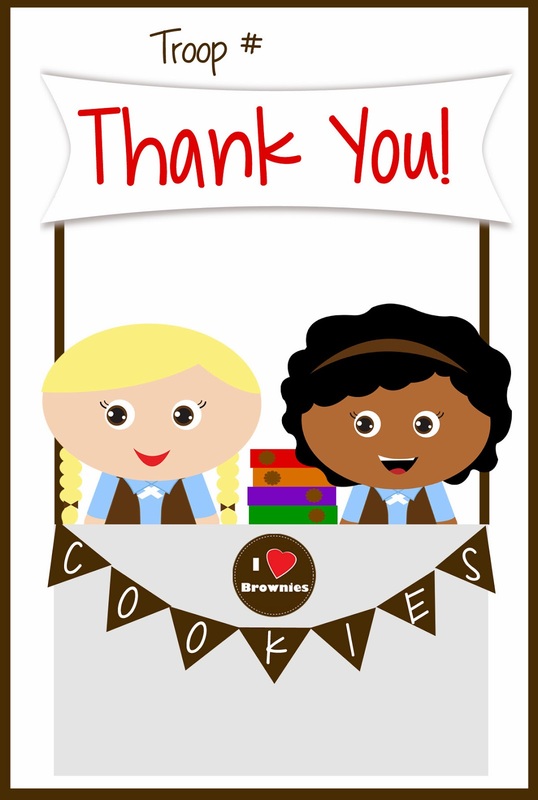 Here is a set of 9 Thank You cards that I created for Brownies! Great for cookie booth sales! Click HERE or on the image below. Love your printables and GS ideas! Thanks so much! Hi Jamie!!! Thanks so much for your comment! I'm so happy you are enjoying the printables! Thank you! I love all of your printable! Hi Sharon! Thanks so much for your comment! I appreciate the feedback and I'm glad to hear that you're enjoying the printables!! Merry Christmas!! 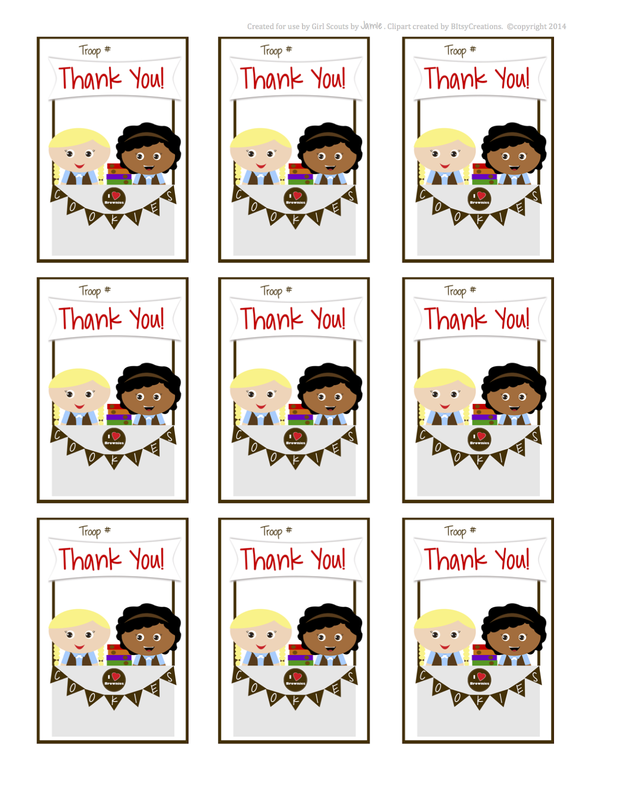 All of your Girl Scout printables are so cute! Thank you for making it available for free!